Swedish labor economist Rudolf Meidner spent his career pushing radical reforms that would shift power from business to workers. Rudolf Meidner, one of the primary architects of Sweden’s famed social-democratic model, once described private ownership as “a gun pointed at the temple of the labor movement.” He spent his career as a union economist trying to resolve the standoff in labor’s favor. Meidner’s economic model — given form by an exceptionally strong Social Democratic Party (SAP) and labor movement — delivered sustained material gains to workers in the decades after World War II (and, because of robust growth, private business). Swedish workers enjoyed the fruits of an expanding welfare state while exercising unprecedented influence and control over a developed economy. It was not enough — the gun remained in place, and by the 1970s, Meidner had concluded, along with the Swedish labor movement, that an alternative model of ownership was needed. “We want to deprive the owners of capital of the power which they wield,” Meidner explained. All experience shows that influence and control is not enough — ownership plays a critical part. I refer to Marx and Wigforss: we cannot fundamentally transform society without also fundamentally changing ownership. The references to both Marx and Ernst Wigforss, a proto-Keynesian finance minister, typified Meidner’s synthetic approach to social change. He was a radical committed to societal transformation — but one who obsessed over the granular details of economic models. His efforts culminated in the so-called “Meidner Plan,” the most impressive attempt in an advanced capitalist economy to shift power decisively from owners of capital to workers. If Meidner’s gambit had succeeded, private capital could have been disarmed — and labor finally freed from its threats. The plan’s failure — as well as Meidner’s career more broadly — illustrates the promise and hazards of left reformism. Rudolf Meidner was born in 1914 to a Jewish family in Breslau, Germany — modern day Wroclaw, Poland. His progressive values developed early on, and he joined a Pupils’ Socialist Club as a teenager. After Hitler seized power, he became a refugee — taking the train first to Copenhagen, then to Malmö, Sweden, and finally ending up in Stockholm on April 2, 1933. He was just eighteen years old. Meidner enrolled at Stockholm University, where he majored in economics and studied under Gunnar Myrdal, the Social Democratic economist and member of parliament who later won the Nobel Prize for research cited in Brown v. Board of Education. Meanwhile, Meidner’s mother and sister escaped to Sweden, where he obtained citizenship in 1943. Many of their friends and relatives had perished in the Holocaust, so there was little to go back to in Germany once the war ended. The folkhemmet was now Meidner’s home too, and he accepted a permanent position in 1945 as head of research in the main union federation, the Landsorganisationen (LO) — a job he would hold until 1979. The Social Democrats and the LO were convinced that the war’s end would trigger an economic depression like that experienced after the First World War. Instead, thanks to stimulative fiscal policy and high demand for Swedish goods across Europe (fueled in part by the US’s Marshall Plan), the economy took off. The problem wasn’t stagnation, but potential runaway inflation. The Social Democrats responded by introducing price controls and demanding that the unions accept wage freezes. While the LO complied, Meidner didn’t like what he was seeing. As far as he was concerned, it wasn’t unions’ job to combat inflation — it was to win higher wages and better conditions for workers. Demanding they do the opposite undermined their support among the rank and file. He was determined to come up with an alternative. Rehn and Meidner proposed instead a division of labor: unions should fight for the immediate interests of workers, while the state should construct a broader playing field favorable to their needs. If the state focused on managing aggregate demand and fostering full employment, the unions could make sure workers across the board — but especially low-wage workers — received healthy pay hikes. Rehn and Meidner didn’t win out in the short term — the Social Democrats continued to pursue a strategy of wage restraint. But less than two years later, the government dropped that “absurd policy” in favor of a set of measures that bore Rehn and Meidner’s fingerprints. Under SAP rule, the state kept excess aggregate demand and inflation in check (often by raising taxes) while delivering full employment and eliminating “islands of unemployment” through selective interventions. The latter complemented the LO’s “solidarity wage” policy. In negotiations with the Swedish Employers’ Federation — which set the standards for huge swaths of the country’s economy — the LO would push for higher wages at the bottom, thereby narrowing the gap between the highest paid worker and the lowest paid worker. The upshot, however, was that some firms couldn’t stay afloat without under-compensating their workers. They’d either go under or fire the previously poorly paid workers. That’s where the state came in: social programs would be there to aid those laid off, and labor-market policies would provide them with assistance in finding new work in more productive firms. The combination of strong collective bargaining, a hefty welfare state, high taxes, selective labor-market policies, and solidarity wages became known as the Rehn-Meidner model, or simply the “Swedish model.” The economic growth, low unemployment and inflation, and consistent social progress it produced became the envy of the world. The economic success of the Rehn-Meidner model allowed the Social Democratic government to introduce universal health care, universal child allowances, universal maternity leave, free comprehensive education, adult education, state pensions, paid sick leave, build a million houses in ten years — all while delivering massive increases in disposable income. The period between the late 1940s and the oil shock of 1973 became known as the “record years” in Sweden. Nevertheless, Meidner saw change on the horizon. The natural, inevitable confrontation between labor and capital would soon rear its head again. Labor needed a new strategy to cope with the difficulties ahead. A wave of wildcat strikes in 1969–1970 and a drop in private investment dramatized the mounting turmoil in the Swedish economy. 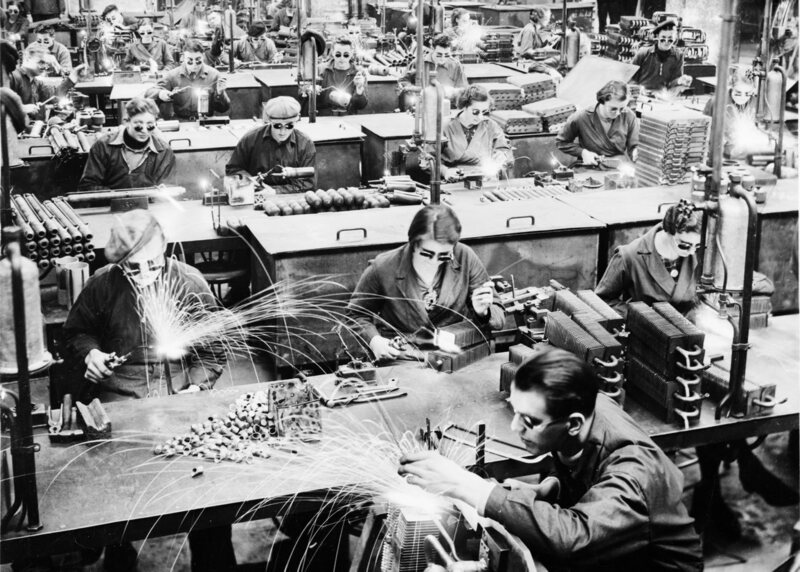 Meidner argued that just as the labor movement had provided an “ideological motor” for the postwar model, it now needed to craft an agenda capable of addressing the new landscape. Collective capital formation became his new watchword, transcending the need for private investment his principal goal. In his eyes, the state and the labor movement should replace the role of private investors in funding productive endeavors. Meidner also sought to fill a hole in the model he designed with Rehn. Unproductive firms were regularly supplanted by productive firms, but the most productive firms enjoyed “excess profits” because their workers — in line with the principle of wage solidarity — would receive the same increases as everyone else. As a result, the Rehn-Meidner model both generated a very high level of wage equality and gave certain individuals extremely high capital incomes. While Meidner expected this from the beginning, he initially saw it as an acceptable (at least in the short term) consequence of a model that could deliver immense social progress on other fronts. By the late days of the “record years,” his perspective had changed. In 1973 — two years after workers mandated their union leadership to address the issue of collective capital formation — the LO tasked Meidner and two other economists with devising a response to three problems: excess profits, concentrated private capital, and insufficient workers’ control. The “Meidner Group” returned with a solution two years later. Based on consultations with eighteen thousand workers, their proposal envisioned a system that would transfer a proportion of annual profits to union-controlled “wage-earner funds,” incrementally increasing this stake until they had majority control. The process would be gradual, but if implemented as designed the Swedish economy would today consist of firms primarily owned by union-dominated social wealth funds. Simply put, the “Meidner Plan” would have gradually socialized the Swedish economy. The proposal became the talk of the nation. The conservative press warned of a “revolution.” Swedish business — previously content to rake in profits and largely stay out of partisan politics — began to organize and mobilize on behalf of the capitalist system. The LO was unbowed. It adopted the report by acclamation at its 1976 congress as delegates sang “The Internationale.” The same year — despite Prime Minister Olof Palme’s reluctance to give the Meidner Plan a full-throated defense on the campaign trail — the Social Democrats announced that they would implement the policy. But with the economy experiencing stagnation — a product of the OPEC oil shock — the SAP lost at the polls for the first time in forty-four years. It was not a catastrophic defeat — the left-wing bloc shed just 6 of 349 seats. Nevertheless, the Meidner Plan was put on hold while the Liberal, Centre, and Moderate parties governed the country for the next six years. The ruling parties changed little around economic policy. What had changed when the Social Democrats returned to government in 1982 was their own attitude towards Meidner’s economics. The new finance minister, Kjell-Olof Feldt, believed the Rehn-Meidner model had created “a society of wranglers, cheaters, peculiar manipulations, false ambitions, and new injustices,” and was seen writing a poem mocking his party’s watered-down proposal for wage-earner funds during a parliamentary debate. Palme was only somewhat more positive, content to adopt the policy in name only. The reversal on wage-earner funds was therefore seen by Meidner as a fundamental breach in solidarity — and it would be followed by more reversals: the Social Democrats would soon successfully demand the LO’s return to voluntary wage restraint, and the employers subsequently withdrew from centralized wage bargaining. The Swedish model would survive the Social Democrats’ about-face on the Meidner Plan, but in a decidedly less ambitious state. Rudolf Meidner was a radical reformist. He argued for “step-by-step policy, where no step is taken into the unknown but each step is taken only where the ground underneath appears firm.” He favored an economy characterized by “self-management and influence not limited to the specific enterprise, while . . . maintaining the state as holder of general authority,” rejecting both the Soviet Union’s “crippling grip of bureaucratic state capitalism” and free-market capitalism. For Meidner, the key was to maintain unity in the labor movement. Division, he argued, “leaves a wide open field for the interplay of market forces.” The successes of the Swedish labor movement came because unions spoke with one voice; the relative weakness of other labor movements were a result of workers within a firm, between firms, or between industries being be played against one another. State policy should cement labor’s solidarity so it could repel business’s attacks. Ten years later, the financial crisis brought the global economy to its knees. Twenty years later, business is still very much armed, austerity has brought misery to millions, and social-democratic parties are in a state of collapse. Still, Meidner was right. The failure of liberal markets and austerity has revived intellectual and political interest in real alternatives — including those that could bring about a fundamental and irreversible shift in the balance of power and wealth in favor of working people and their families.